Speedy is one of Auckland’s oldest sprint companies. 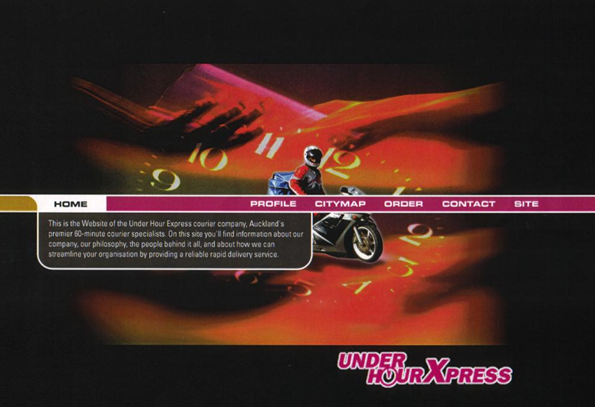 We began life in early 1996 as “Under Hour Xpress Ltd”. This was a time when Auckland’s population was 1 million and you really could get round Auckland in an hour from virtually anywhere. 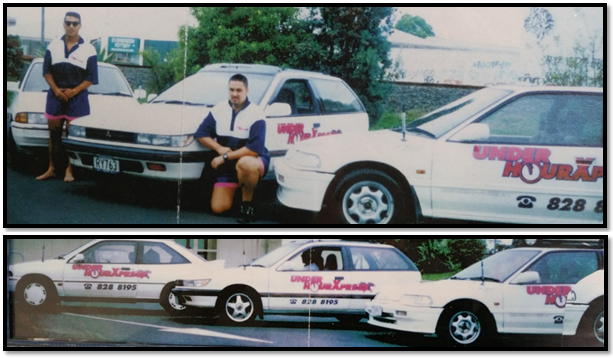 March 1996 Les Laufiso – Managing Director (left) with Mike Marsters – former Operations Manager (right). Our website (pictured below in 1996) was cutting edge stuff at the time, where courier companies paid $1000’s to advertise in the Yellow Pages and the web was nothing more than a curiosity. My, how things have changed! By the early 2000’s, Auckland’s population had grown considerably and started to congest the roads as the city began to expand. Our price grid of 20 major suburbs doubled to 40. Everyone began to get used to the idea that living in Auckland meant spending time getting around. Although many deliveries could still be done in an hour, some needed longer. 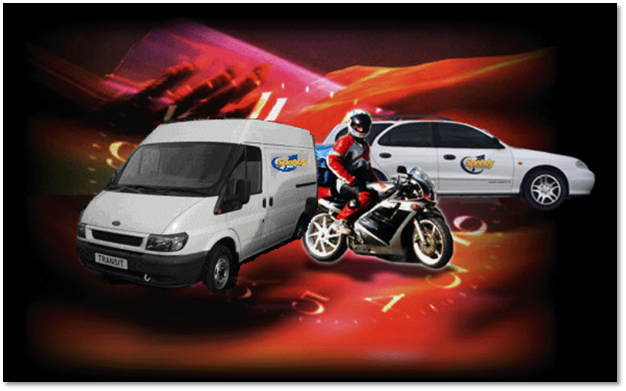 This gave rise to a brand name change which became Speedy Couriers Ltd. Revenues were crushed and business went down in all courier companies, so the sprint industry had to look at providing alternative services rather than just premium-priced sprint jobs. “Speedy point-to-point non-urgent” was kicked off to supplement the classic 1 hour job, and with that, a price tier that was very affordable. The launch of “Speedy – Non-urgent” saw plenty of fly-by-nighters simply disappear from the landscape. Today Speedy boasts a fleet of over 30 couriers, many of whom have journeyed with us a good percentage of the company’s history. We use smart phones and real time internet logging with instant delivery detail on jobs, at the click of a button. We have nearly two decades of collective knowledge and experience and we understand the care and precise delivery of your goods on time is the reason you engage a company like ours. At the end of the day our purpose remains the same – we are experts in the field of Urgent and Non-urgent delivery.